The overall air quality index or AQI for the national capital was 327, which falls in 'very poor' category, according to CPCB data. The air quality in the national capital remained 'very poor' today even as authorities predicted drop in pollution level with increased wind speed. The overall air quality index or AQI for the national capital was 327, which falls in 'very poor' category, according to Central Pollution Control Board (CPCB) data. An AQI between 100 to 200 comes under 'moderate' category, 201 and 300 is considered 'poor', 301 and 400 'very poor' while between 401 and 500 it is 'severe'. According to the Centre-run System of Air Quality and Weather Forecasting (SAFAR), the overall air quality of Delhi may improve due to increased wind speed. "It may improve as wind speed is sufficiently high. Wind speed continued to remain a key factor to improve the air quality after rain washed away pollutants on Thursday. However, other factors are still unfavourable as relative humidity is high," it said. The overall PM2.5 (fine particulate matter in the air with a diameter of less than 2.5 micrometer) level was recorded at 176 and the PM10 level at 298, SAFAR said. 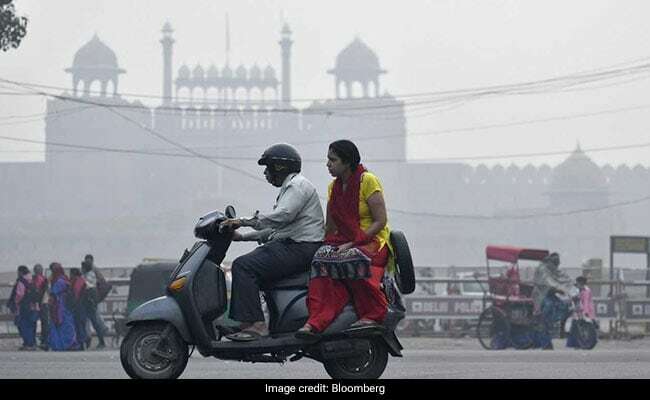 The national capital recorded its best air quality in over two months on Thursday at 'moderate' category, after rain washed away pollutants before slipping into the 'poor' category on Friday. Yesterday, 22 places in the national capital recorded 'very poor' air quality and nine places were in 'poor' category, the CPCB said. Neighbouring Ghaziabad and Noida recorded 'very poor' air quality while in Faridabad it was in the 'poor' category. In Gurgaon it was 'moderate', the CPCB said.